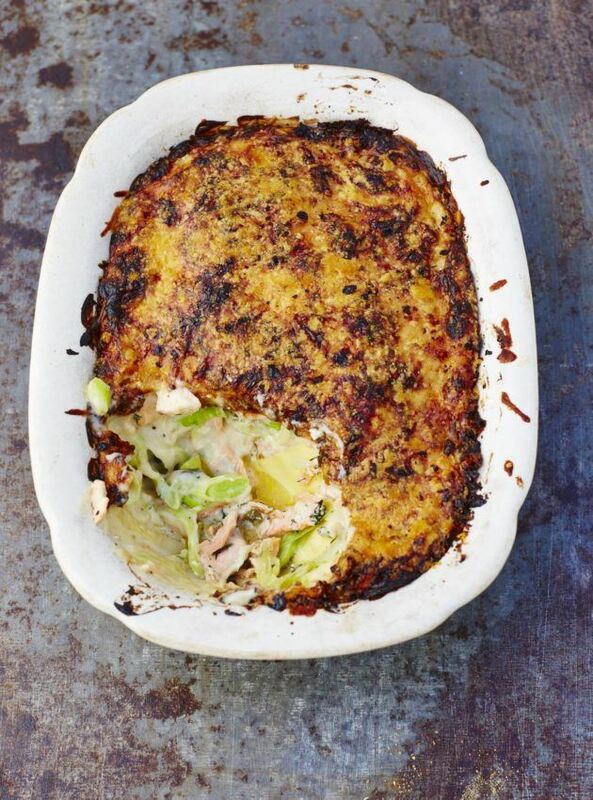 We love this creamy lasagne! The marinated salmon with dill and capers and the home made bechamel with the Parmesan cheese are a beautiful combination. Hope you like it! Put the salmon in an oven tray and pour on some olive oil. Add capers, dill and white wine and marinate the salmon. Put the salmon in a preheated oven for 8 minutes and cool down after it’s cooked. Divide the salmon into pieces and mix with the capers and dill from the oven tray. Fry the leek in a medium hot pan with olive oil and add about 2 tablespoons of water after 1 minute. Braise the leek until it’s nice and soft. Melt the butter in a sauce pan. Add the flour when the butter is melted (but not brown) and mix for about 1 minute. Then add the milk while you whisk it well until you have a smooth bechamel sauce. Season with salt and pepper. Divide a layer of the bechamel in an oven dish and cover it with lasagne sheets. Divide another layer of bechamel on the sheets and spread a layer of salmon and a layer of leek over it. Cover it with lasagne sheets. Repeat this 2/3 times and finish the lasagne with a layer of bechamel sauce. Make sure the lasagne sheets are covered with sauce. Sprinkle the Parmesan cheese on top of the lasagne and put it in the oven for around 25-30 minutes until the salmon lasagne is beautiful and golden brown.